1) Place your baby on his or her back for all sleep times-naps and at night. 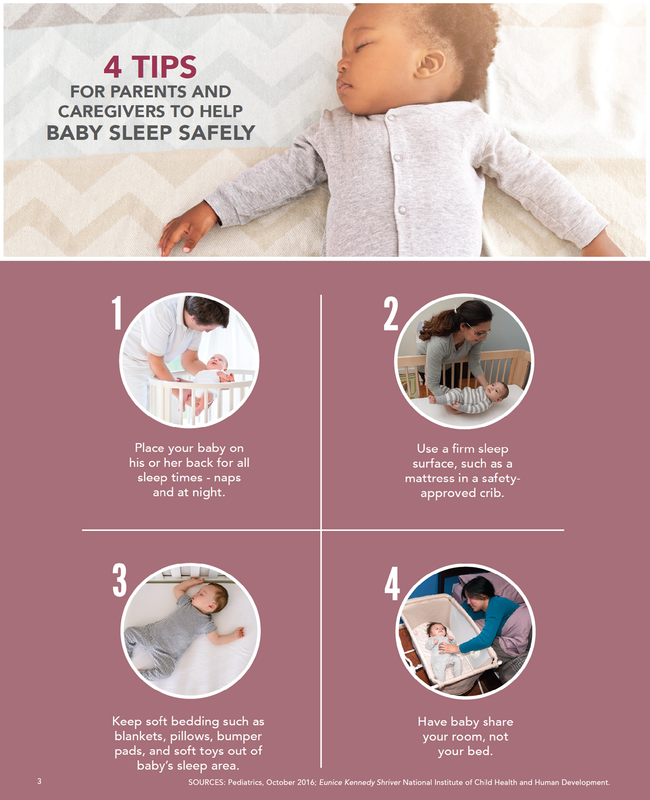 2) Use a firm sleep surface, such as a mattress in a safety-approved crib. 3) Keep soft bedding such as blankets, pillows, bumper pads, and soft toys out of baby’s sleep area. 4) Have baby share your room, not your bed.